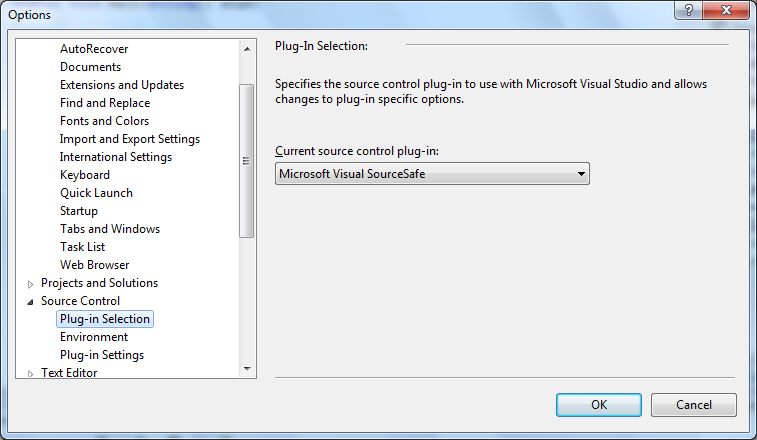 Thanks for sharing this feature but in my installation, only ‘Visual Studio Team Foundation Server’ can be selected from the Current source control plug-in. 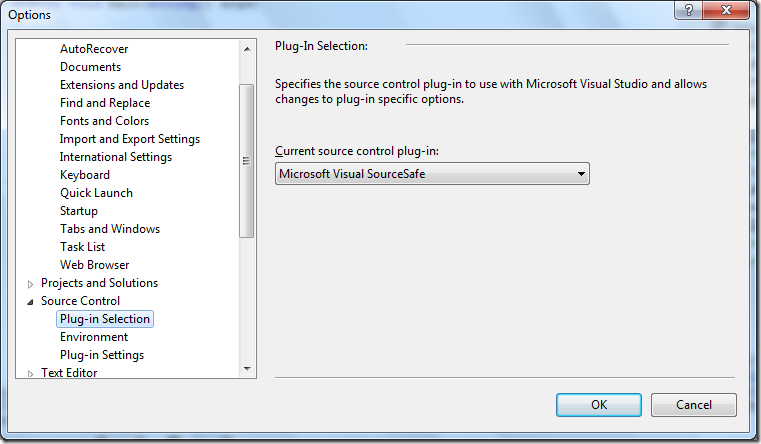 How do I install the required plug-in ? You may want to reinstall/upgrade your installation and make sure that you install every possible option. that is what I do. I was able to find the VSS in the option above.